2010 Adult Summer Reading winner! Theresa Fegan, Principal Library Assistant at the Jackson Branch, was the lucky recipient of a gift bag from the Readers’ Services Committee. Theresa participated in the 2010 adult summer reading program and her name was pulled in a random drawing for staff participants. The gift bag included the unabridged audio version of Margo Lanagan’s fantasy novel, “Tender Morsels” and a small box of Jacques Torres’ celebrated chocolates. 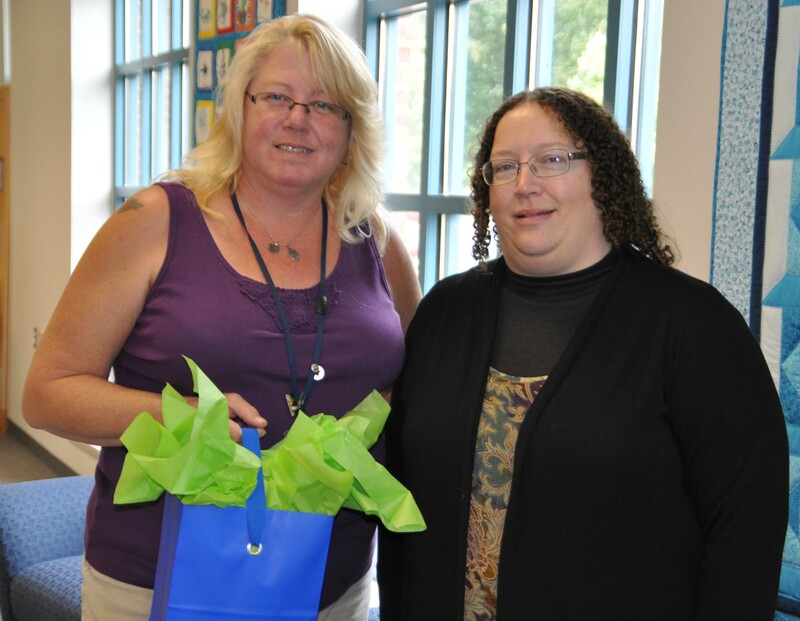 Rita Oakes, Supervising Librarian, Branch Services and Administrative Liaison to the Readers’ Services Committee, presented the gift bag to Theresa at the Jackson Branch on Thursday, September 16th.